Ho appena terminato un poster con immagini della Luna Piena “catturata” accanto a monumenti e paesaggi piemontesi che ho, di conseguenza, chiamato Pied”moon”t. 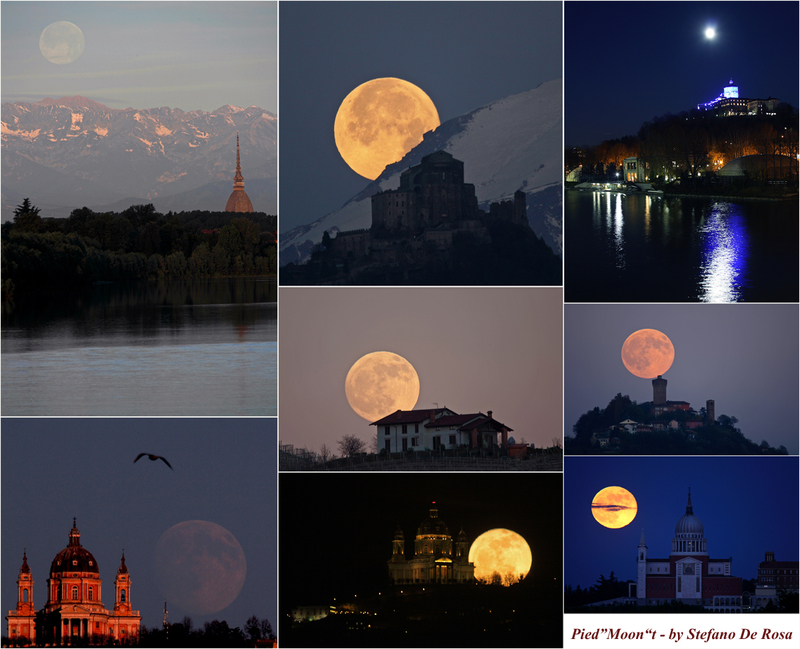 I monumenti (e le relative “Lune”) inclusi nel mosaico sono (da sinistra in alto in senso orario): la Mole Antonelliana (w/ Strawberry Moon), la Sacra di San Michele (w/post-eclipse Cold Moon), Santa Maria del Monte church (w/ Not a Blue Moon), Santa Vittoria Castle (w/Beaver Moon), Basilica di San Giovanni Bosco (w/ Strawberry Moon), the Basilica of Superga by night (w/ Snow Moon), Basilica of Superga by day (w/ Old fashioned Blue Moon) e al centro la Wolf Moon sorge dietro una casa nelle Langhe . I just completed a poster with a collage of my images of Full Moon “captured” alongside monuments of Piedmont region and therefore I named it “Pied”moon”t. Venues (and related Moons) included in the mosaic are (from top left clockwise): the Mole Antonelliana (w/ Strawberry Moon), the Sacra of San Michele (w/post-eclipse Cold Moon), Santa Maria del Monte church (w/ Not a Blue Moon), Santa Vittoria Castle (w/Beaver Moon), Basilica of Saint John Bosco (w/ Strawberry Moon), the Basilica of Superga by night (w/ Snow Moon), Basilica of Superga by day (w/ Old fashioned Blue Moon) and in the center the Wolf Moon rising behind a house in the Langhe (a region famous for its wines). Please contact me (stefanoderosa66@gmail.com) should you require a full resolution print of the poster or single images.